An allergy to milk and milk products, which are a great source of protein and calcium, is rare - more common is a lactose intolerance. Lactose is the sugar found in milk produced by mammals such as goats, sheep, cows and humans. Our bodies normally produce lactase, an enzyme that helps digest lactose. If you do not have enough lactase, drinking milk may produce symptoms such as stomach bloating, cramps, wind, constipation or diarrhoea. These may constitute a lactose intolerance. Cutting out milk and milk products completely, without medical advice, isn't the best solution as they are a good source of protein, calcium, vitamin A and riboflavin. But rather, if you think you are lactose intolerant, consult your doctor or registered dietitian. With their advice, experiment to see how much lactose you can tolerate. If you need to reduce the amount of milk products you consume, it is also important to find alternative sources of calcium. 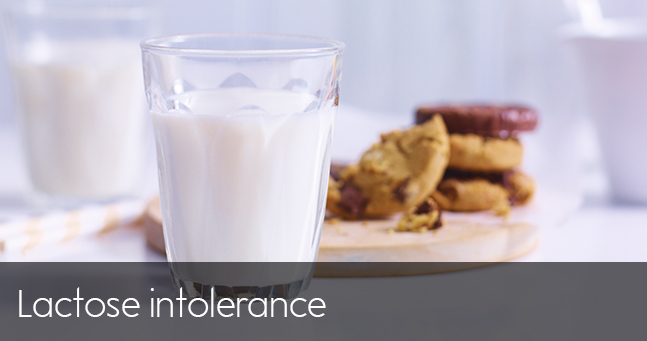 A milk allergy is very different to a lactose intolerance. If you are allergic to milk, then you should not have any milk or milk products. At its most extreme, such an allergy can cause a violent physical reaction and can even be fatal. If you think you may be allergic to milk, you must consult a doctor or a registered dietitian. Some people only react adversely to cow's milk and are able to drink both sheep's and goat's milk without any symptoms. In these cases, it is generally a protein called casein, that affects them, rather than the lactose. If a product is labelled as 'milk free', it should be suitable for both people who are lactose intolerant and sensitive to casein. Lactose intolerance may be an inherited disorder, and your ability to produce lactase decreases with age. It usually becomes apparent between the ages of five years and 20 years (it is rare in babies). It seems to be more common among adults of African, Asian, Native American or Chinese descent. Sometimes people may get a temporary loss of the ability to make lactase, caused by damage to the lining of the intestine, where lactase is produced. This can be the result of an illness or a bout of diarrhoea, or can occur after taking certain medicines, such as antibiotics. Once the body recovers, you should be able to digest lactose normally again. What should I do if I'm lactose intolerant? Avoid milk and milk products (including cheese, cream and yogurt) until your symptoms have subsided. Then try gradually introducing some forms of milk back into your diet. Yogurt and hard cheeses are usually tolerated well (these are fermented products and most of the lactose has been removed). Eat hard, aged cheeses as these have low levels of lactose. Drink small amounts of milk throughout the day, either with meals or snacks, rather than on an empty stomach. If you are cutting down on milk and milk products, it is essential that you replace your regular intake of calcium. Fortunately, there are many other sources of calcium, such as calcium enriched drinks; canned fish with edible bones (sardines, salmon); green leafy vegetables; bread (white flour is fortified with calcium, but don't forget that some breads contain powder); pulses; soya beans, soya drinks, tofu and soya cheese; dried figs; dried apricots and most nuts.